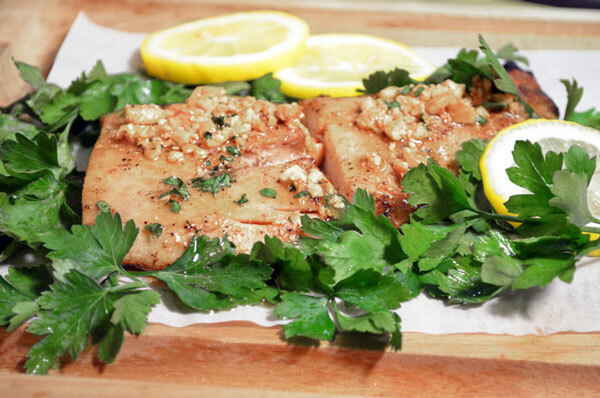 Follow our easy step-by-step, photo illustrated, instructions for making this really great Mahi-Mahi with Macadamia Nut Sauce. We re-created this recipe for the Our State Magazine website based on a recipe from one of their 1967 magazines. It was a time before Dolphin Fish became known as Mahi-Mahi and… back when it was bringing a good price at 1.00 per pound. My, how times do change. I’ve had the great honor of being asked to submit some of our step-by-step, photo illustrated recipes to the Our State Magazine website. In case you don’t know it, Our State Magazine is a very highly respected publication out of Greensboro, North Carolina that covers all kinds of things North Carolina related. It’s chock full of places to visit, things to do and, lots of great food places to enjoy along with recipes to give a try. They’re celebrating 80 Years of publishing this magazine this year and recently launched a new section on their website entitled “Our State Eats.” This was the first recipe in this new series that we re-created for them and it was first published on their website in May, 2013. The magazine originally was published, back in the 50’s as “The State” and, the name was changed many years later to “Our State.” When I was asked to submit several recipes, I suggested we try to find the first one ever published by the magazine and try to re-create it. Sadly, we didn’t find the very first one but, we did find this one for Dolphin Fish that was listed under the heading, “Knife & Fork” written by Aycock Brown. It appeared in the May 15, 1967 issue of The State. Remember now, this is back in 1967. “The going price,” according to Mr. Brown, “is 1.00 per pound, or that is what Capt. Buddy Canady and his mate Johnny Booth were offering (and getting) for the fish they were dressing on the Oregon Inlet Fishing Center docks one day. I really liked that he had put “and getting” in quotes which, to me, implied that even he thought that was a lot of money but, they were still getting 1.00 per pound for the dressed fillets. Dolphin fish, or Mahi-Mahi as we know it these days, has certainly come a long way since then. What I purchased to make this step-by-step, photo illustrated recipe, was selling fresh for 11.99 per pound this week. I wonder what Mr. Brown would think of those prices? Still, dolphin fillets make for some mighty good eating and I hope you’ll give this old recipe a try. I didn’t change a thing in the recipe that was printed back then and, you’ll find that below. I did however, adjust the portions as I prepared the recipe since I was only making what you see here. It turned out fabulous in my opinion and I highly suggest you give it a try. I hope you enjoy it. Ready? Let’s Get Cooking. 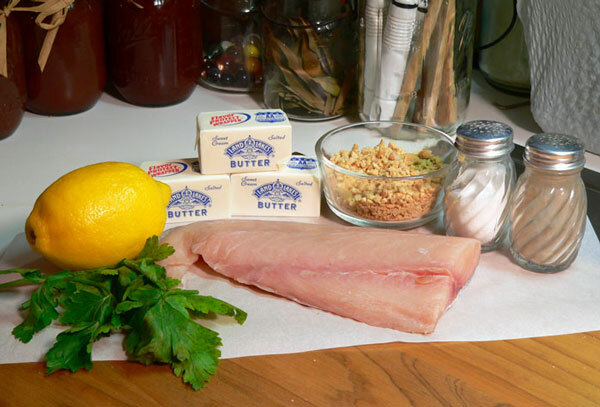 Mahi-Mahi with Macadamia Nut Sauce Recipe: You’ll need these ingredients. We’ll begin by making the Macadamia Nut Sauce first. 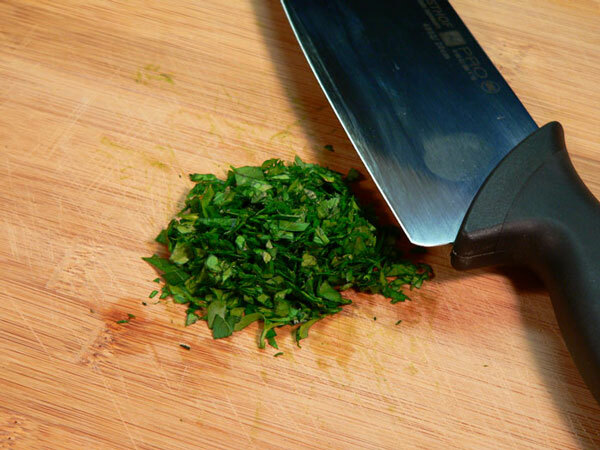 Chop up the parsley, enough to make one Tablespoon. 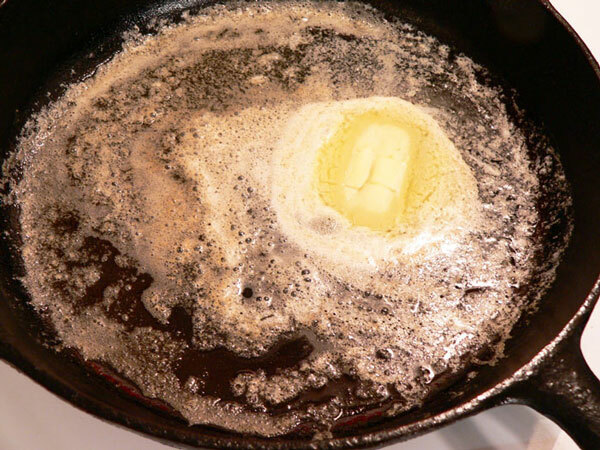 I’m using my favorite cast iron skillet to melt the butter. 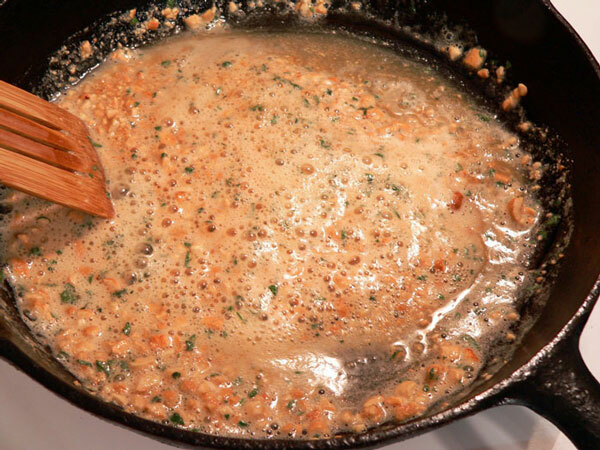 Place it in the skillet over medium-low heat as anything higher might burn the butter. 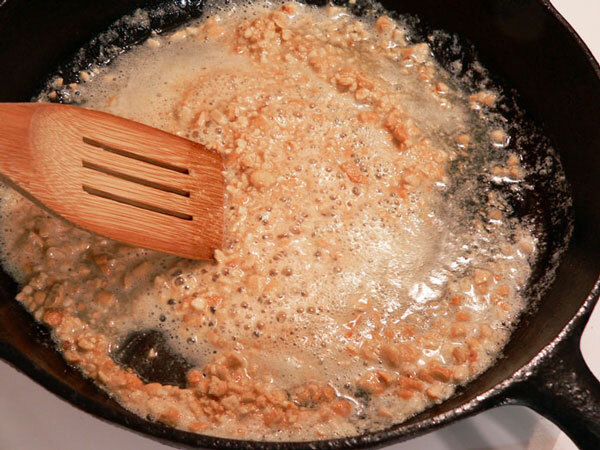 Add the chopped nuts and stir well, allowing the nuts to brown slightly in the butter. Continue to stir the mixture and let it brown for about one minute more. Just be careful and don’t let the butter burn. 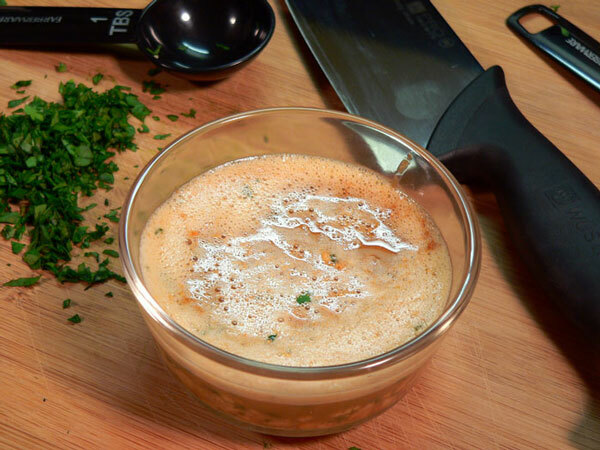 Place the Macadamia Nut Sauce in a small bowl, set it aside and keep it warm. So far… so good. 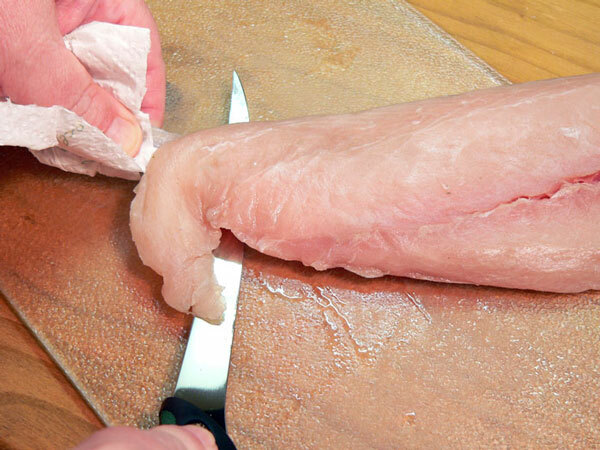 We’ve got skin on fillets and we need to remove that skin. You’ll need a good sharp fillet knife for this. Use your knife to cut a portion of the meat away from the skin, enough to get a good grasp on the skin itself. A paper towel will help you hold the skin as you slide the fillet knife under the meat. 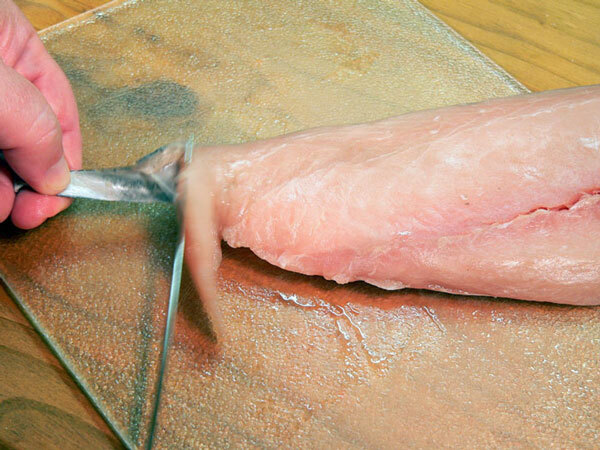 Fillet knives are very flexible. Press down on the handle and get a bit of a curve in the blade to help you slide the knife under the meat and along the skin to cut the skin away from the flesh. 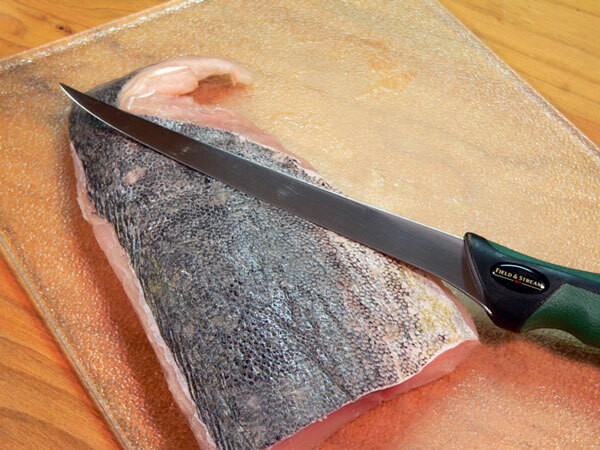 Just slide the knife all the way along the length of the fish and cut away the skin. You can probably even get your fish monger to do this for you if prefer. 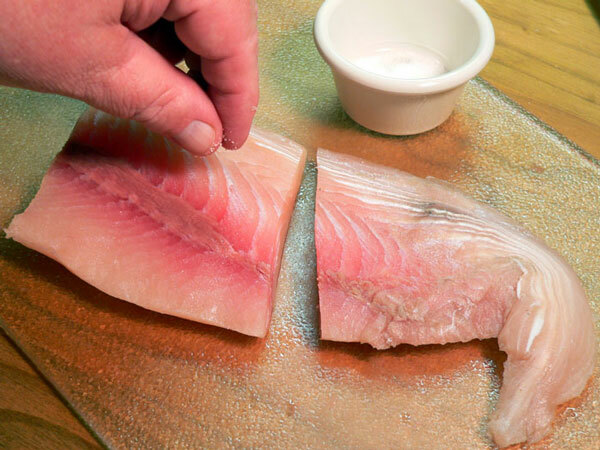 Cut the fish into good serving size portions. 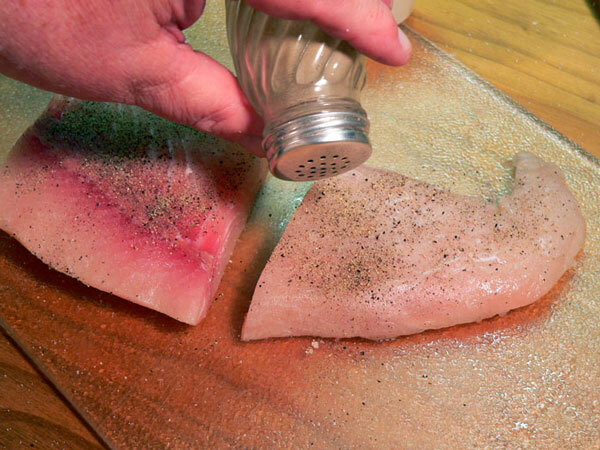 Sprinkle a little salt to taste on each portion of the fillets. 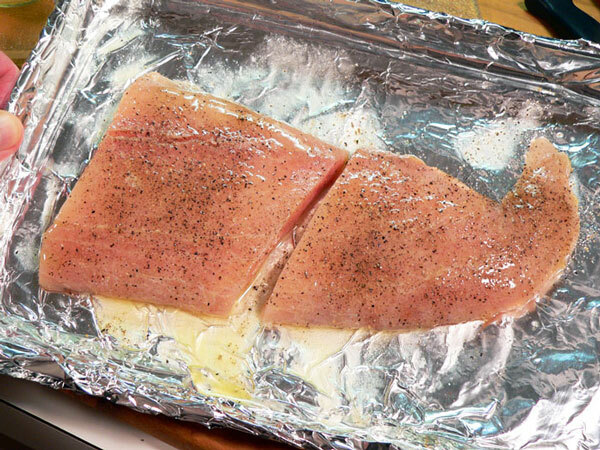 Then, sprinkle each fillet with a little Black Pepper. 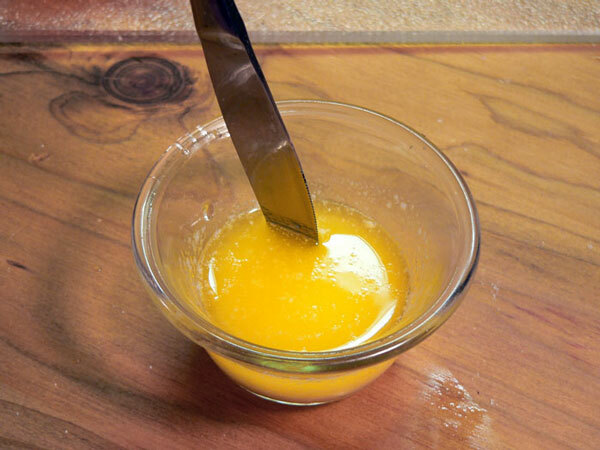 Melt 1/4 cup of the Butter in your microwave then, add in the Lemon juice. 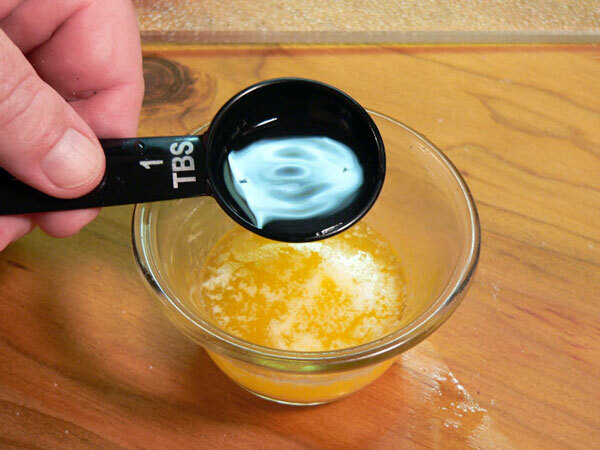 Stir the Lemon juice and melted Butter together. 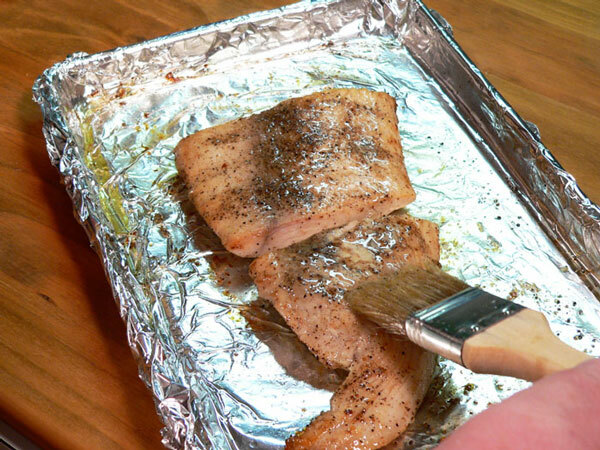 Generously grease the bottom of a foil lined pan and place the fillets on top. The original story called for using a broiler pan. I didn’t have one so I’m using a pan lined with aluminum foil. Brush the tops with the Butter and Lemon juice mixture. Once both sides are brushed with the Butter and Lemon juice mixture, we’re ready for the broiler. I suggest you place the fish portions meat side down first to broil them. Your oven rack should be at it’s highest position so the fillets are about 3 inches from the source of heat. The fillets need to broil for about 4 to 5 minutes on the first side. After 4-5 minutes, carefully flip the fillet over in the pan. Brush the other side with some of the Butter mixture. Plate the fillets, top with some of the Macadamia Nut Sauce, serve warm and… Enjoy! Follow our easy step-by-step, photo illustrated instructions for making this really great Mahi-Mahi with Macadamia Nut Sauce. We re-created this recipe for the Our State Magazine website based on a recipe from one of their 1967 magazines. It was a time before Dolphin Fish became known as Mahi-Mahi and… back when it was bringing a good price at 1.00 per pound. My, how times do change. 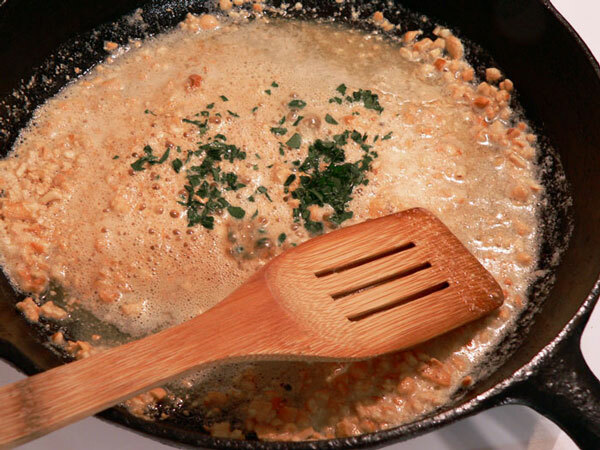 Prepare the Macadamia Nut Sauce by lightly browning the nuts in butter. Add the parsley. Set aside and keep warm. Makes 1 cup of sauce. Combine butter and lemon juice. 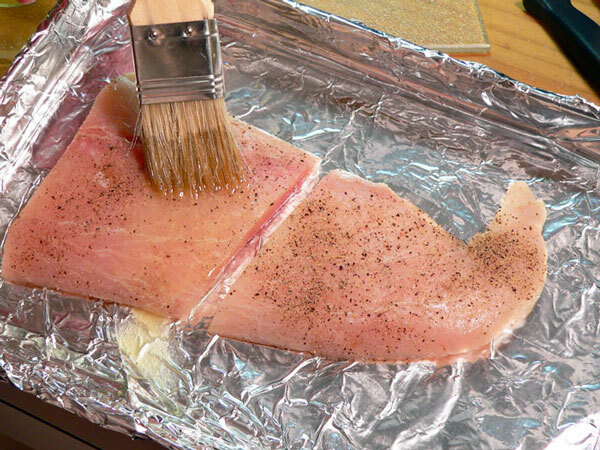 Place fish on a well-greased broiler pan and brush with butter and lemon juice mixture. Broil about 3 inches from heat source for about 4 to 5 minutes. 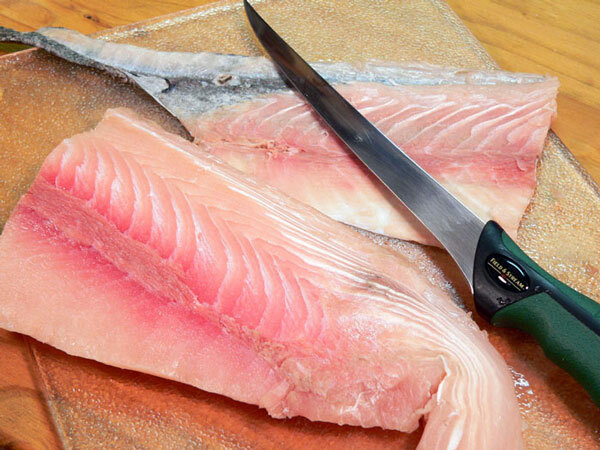 Carefully turn fillets, brush with butter and lemon juice mixture. 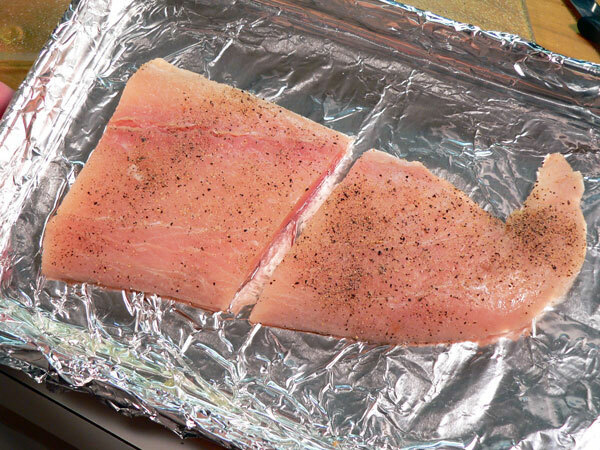 Broil for about 4-5 minutes longer or until fish flakes easily when tested with a fork. 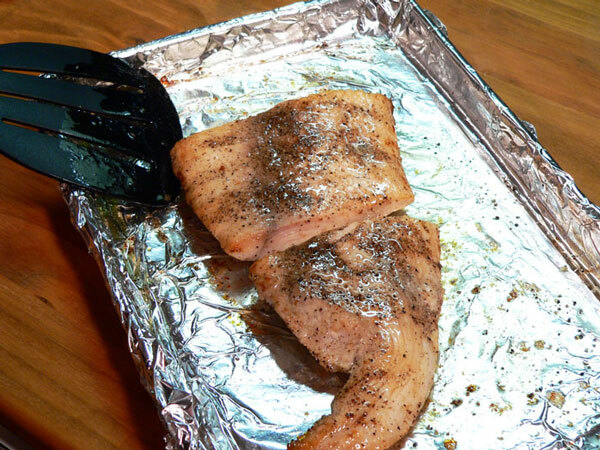 Place fish on a warm serving platter. 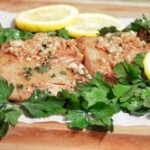 Pour Macadamia Nut Sauce over fish. Your Comments: As with all of our recipes, we really appreciate it when you share your thoughts and comments with us. If you give the recipe a try, be sure to come back and let us know how it turns out or, if you make any changes to the recipe, let us know what you did. It just might help another reader to give the recipe a try. Please remember, all of our comments are moderated. That just means that I personally read each and every comment before its approved for our family friendly site here at Taste of Southern. I also try to reply to your comments as often as time permits. 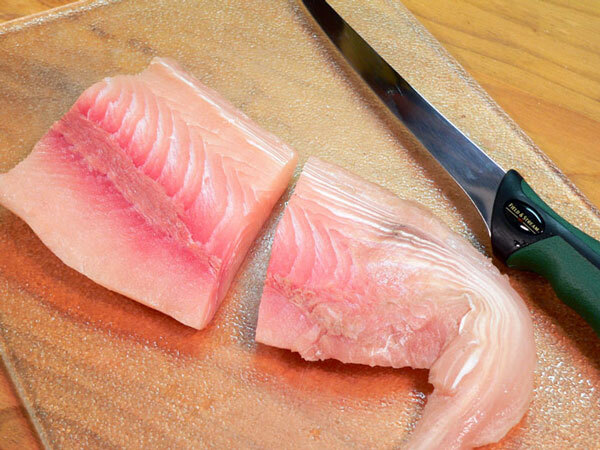 Have you ever tried Mahi-Mahi? I’ll be looking forward to reading your comments in the section below. Sign Up For Our Newsletter: Before you leave, please take a moment and sign up for our Newsletter. I try to send out a weekly reminder of our new recipes when we add them or anything else of importance that goes on around Taste of Southern. It’s absolutely free to join and you can remove your name at any time you might select to do so. Thank you for your visit today. I do hope you found some recipes of interest and that you’ll visit with us again… real soon. my elderly father went to Hawaii years ago and had mahi mahi with macadamia nut sauce, he has been saying for several years that he would really like to have that again I found your website with the mahi mahi and macadamia nut sauce recipe and was excited to make it for my father so I made it tonight and it was horrible, way too buttery, could not taste the macadamia nuts, it was absolutely horrible, sorry for the bad review but my father said it tasted nothing like he had had before after spending tons of money to get the stuff to make this I was very disappointed oh well live and learn right.